Pruß,V. :Geology of the Västervik Area. 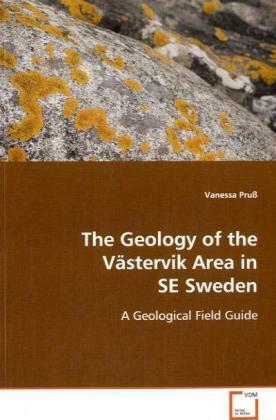 This book should be considered as a geological field§guide with main focus on the area around Västervik in§southeast Sweden. The Västervik Area mainly consists§of early Proterozoic rocks. Metasediments and§metavolcanites are intruded by granitoids and dykes,§which had caused contact metamorphism and§migmatization. 20 locations have been chosen from§this area. They present an overview on the different§and most common rock types as well as significant§structural phenomenon in the Västervik area. First,§the reader gets a brief introduction to the geology§of the Baltic Shield. This is recommendable,§especially for participants who are unfamiliar with§this topic. A detailed summary describes the geology§of the Västervik Area, followed by the description of§the chosen locations. Afterwards one can choose from§the suggested field trips or plan an individual tour.§This guide is targeted at both geologists, as a basis§for their own field education, and non-geologists, as§a tour guide for their hobby field trips, alike.